My weekend was all about chocolate. I don’t think one really needs a reason to have a weekend that revolves around chocolate but for the record, I did: I’m working on a few new recipes for my Sweeties cupcakes; testing different brands of cocoa powders for a dark chocolate Sweetie was at the top of my weekend To Do list. To those foodies who already know, please bear with me for a minute while I get into cocoa powder for those who don't already know; I’ll get to the recipe for the cookies in a minute. When baking, I tend to use cocoa that has been Dutch processed in my recipes. Dutch-process cocoa powder is made from cacao beans that have been washed with a potassium solution to neutralize their acidity before being turned into powder. The process makes the final product darker and gives the beans a mellower flavor. Opposite Dutch-process is Natural cocoa powder. Natural cocoa powder is made from beans that have only been roasted before being made into powder. Most brands that are sold in supermarkets in America (Hershey’s, etc.) are natural cocoa powders. This weekend I was experimenting with a French brand of Dutch-process cocoa powder. 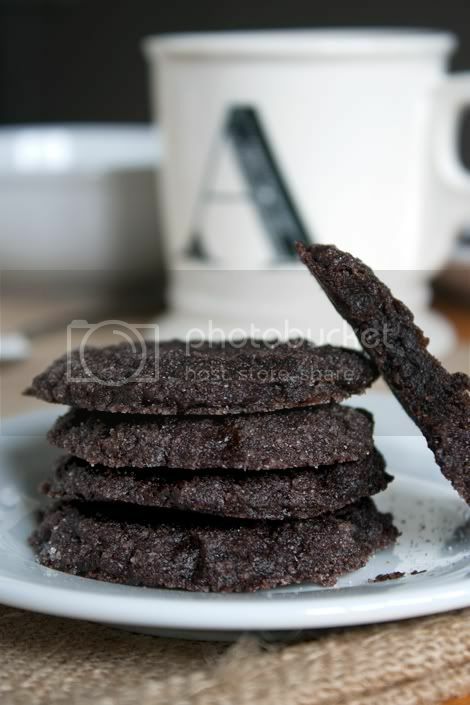 This brand gave my baked goods a fabulous, rich chocolate taste and deep almost-black color that looked like the result of using Black cocoa powder. 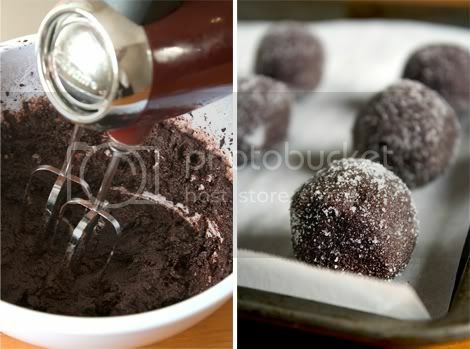 Black cocoa powder is simply cocoa powder that has been heavily Dutched. King Arthur sells true Black cocoa, if you’re interested in learning more. Dutch-process and Natural cocoa powders are not interchangeable in many recipes, so it’s important to follow instructions carefully if a recipe calls for one in particular. 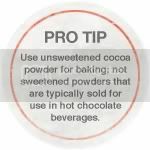 Mostly, it doesn’t matter; but in recipes that only use baking soda as a leavening, natural cocoa powder is used. Dutch-process cocoa is used in recipes with baking powder because it doesn’t react to baking soda like natural cocoa does. If you have a recipe that calls for both leavenings, you can pretty much use either type of cocoa powder and your baked goods will be none the wiser. A good rule of thumb: when a batter-based recipe specifically calls for natural cocoa powder, do not use Dutch-process. And finally here is the recipe for amazingly moist and fudgey Cardamom Cocoa Drop Cookies, inspired by some Photograzing I did last week. I’ve veganized this recipe and reduced the amount of cardamom slightly. If you prefer a stronger cardamom flavor, feel free to increase it to 1/2 teaspoon or experiment with other amounts. To start: Preheat the oven to 350°F. Line two cookie sheets with parchment or nonstick liners. Place 1/4 cup of the granulated sugar in a small bowl and set aside. Prepare the batter: Beat together the granulated sugar, softened Earth Balance, cocoa powder, and cardamom in a mixing bowl with a hand mixer on slow speed. Once the mixture is combined and fluffy, add the flour and continue to mix until just blended, about 1 minute. Using your hands, roll the dough into 1-inch balls (approximately 1 tablespoon of dough). Once the balls of dough are shaped, roll them in the reserved sugar and then place on the prepared cookie sheets, spacing them about 1 1/2 inches apart. Use the palm of your hand to press down on each ball of dough to flatten it a bit. Bake the cookies until the tops look dry, for approximately 11-12 minutes. Let the cookies cool on the baking sheets for 5 minutes, and then transfer to a rack to cool completely. Serve immediately or cover and store at room temperature for up to three days. These are WONDERFUL, I can't wait to share them at Christmas. Thank you! Just made these for a potluck and they were the talk of the party. I added a 1/2 tspn of orange extract, 1 egg, and chocolate chips, too, so they were really gooey. For vegans, I think even without the egg they would be great. The orange really brings the chocolate and cardamom together. Yum! how many cookies does one batch yield?